It's designed to be easily integrated into your existing infrastructure. Seamlessly connect with your diverse existing risk systems to aggregate data from different sources to build risk analysis reports and calculate capital charges, VaR and other risk measures. Merge technologies for risk data aggregation and reporting with broader enterprise data management strategies. 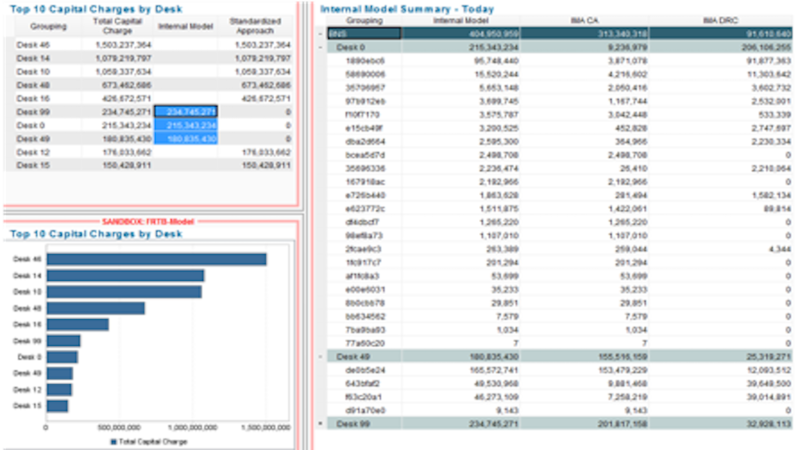 Enable fast deployment with a universal data model and reporting templates. 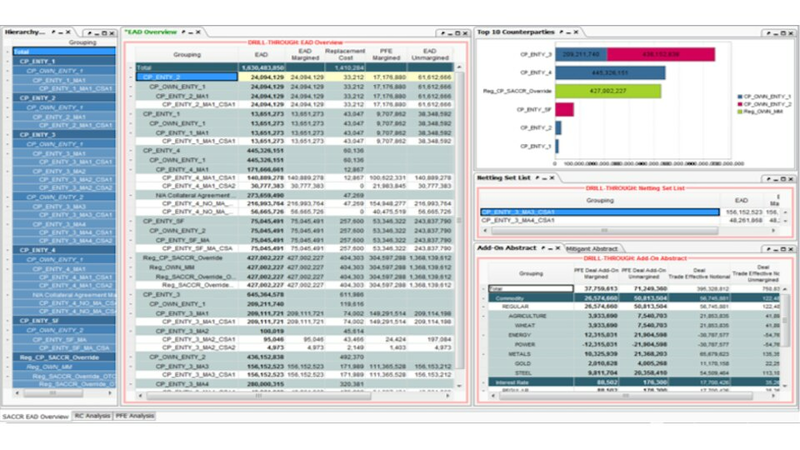 Deploy IBM Algo Workspace Analyzer solutions with configured data models. Use reporting templates that help banks demonstrate regulatory compliance and perform risk analysis. Build streamlined reporting dashboards that provide the ability to drill down to access critical underlying analysis and data insights. Enable managers to understand key risk factors and contributing sources. Include intelligent in-memory caching of relevant data. 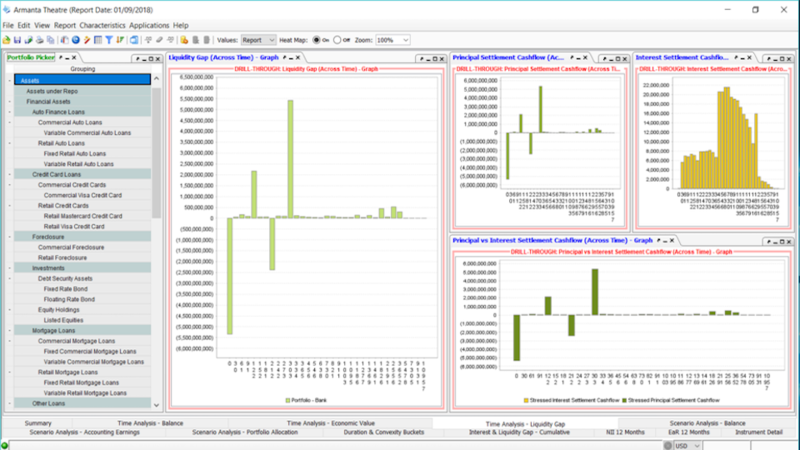 Avoid latency problems common to enterprise scale reporting. Minimize infrastructure and maintenance costs by using distributed, resilient and economical compute resources - including grid computing environments. Increase the reliability of reporting results with automated connectivity to more comprehensive and up-to-date information, such as near-real-time feeds on market data and ongoing transactions. Reduce time spent on developing reports and increase analytical agility by using reporting templates that are highly configurable and easy to use. Provides a user-friendly dashboard with a powerful analytics engine to handle complex market risk analysis. Interactive drill-down features give managers access to granular data and calculations for a deeper understanding of key risk factors and contributing sources. It also features a sandbox capability so users can conduct "what-if" scenarios and evaluate the effect of changes without impacting the underlying live data. While the solution provides a preconfigured data model and reporting templates, you can customize and reconfigure the reports to meet local regulations specific to your institution. This built-in flexibility can also help you create aggregation, calculation and reporting capabilities to meet future banking regulations as they evolve. Importantly, the software also includes capabilities for enterprise level risk reporting in areas such as market risk, liquidity, capital allocation and more. Scenario-based and sensitivity-based aggregation and reporting functionality needed to comply with Fundamental Review of the Trading Book (FRTB) regulations. The FRTB Reporting add-on is regulatory reporting ready, allowing users to start with preconfigured reports and flexibly extend them as needed to meet FRTB requirements for internal and regulatory reporting. This add-on aggregates and reports market risk measures, such as value-at-risk and expected shortfall on an end-of-day or intraday basis. 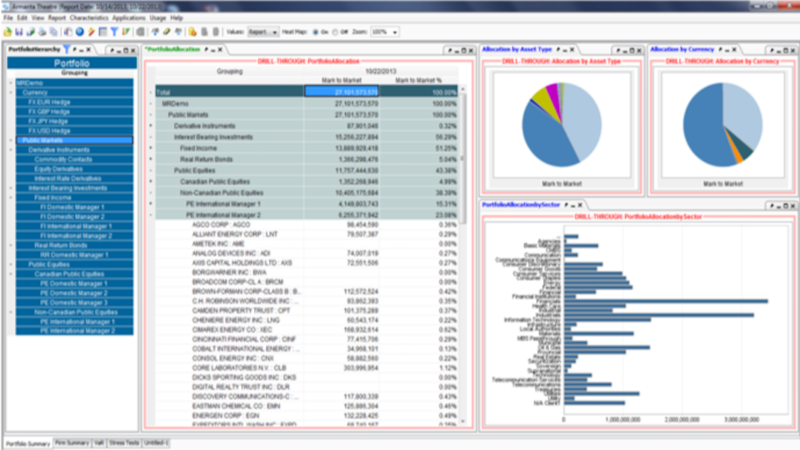 It calculates risk on financial asset portfolios on an absolute basis or relative benchmarks. Aggregation and reporting functionality required to comply with the standardized approach for measuring counterparty credit risk (SA-CCR) set by the Basel Committee in BCBS279. Algo Workspace Analyzer for SA-CCR Reporting add-on provides standardized, non-internal, model-based calculations for counterparty credit risk exposure and produces values for counterparty exposure at default to achieve regulatory capital adequacy. A predefined set of reports covering the fundamentals of ALM and liquidity that can be extended for client-specific reporting. It also reads from big data technology and integrates with IBM Algo Big Data ALM and IBM Algo Big Data Liquidity Risk.